Visualization is one of the most primitive forms of communication known by people. That is why vision is the single main faculty that a person uses to communicate and share information. In the context of the current technological revolution, the definition of “geoportal” goes beyond purely mapping. Thus, at the time of defining the term in question is key to transcend mere ideology, not forgetting contextualize it in this digital era, marked by the knowledge revolution, interactive approach and citizen participation. In this article we will give a brief review of the defining characteristics of the geoportals, after focusing on the illustrative example of the Alboran Sea geoportal, developed by Geographica. 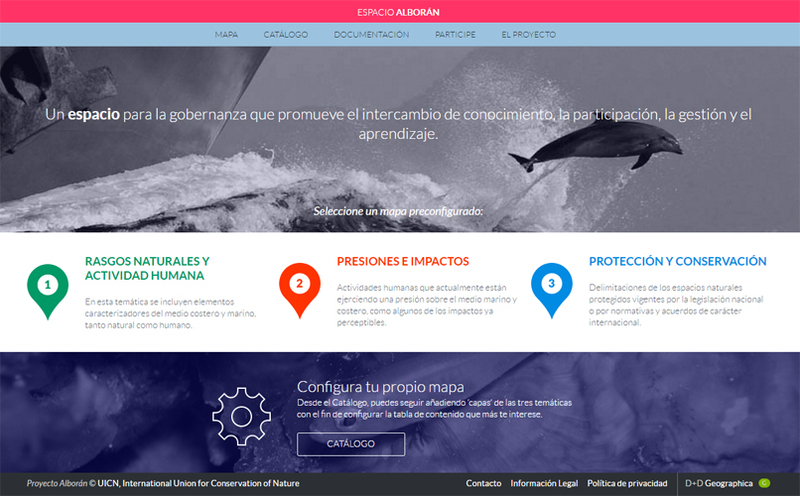 This is a success story, prepared for the UICN (International Union for Conservation of Nature), which has emerged as a participatory platform with information on natural resources as valuable enclave, which has a rich biodiversity. But before, we get back to the concept of geoportal: While we understand as a portal that provides access to maps, the concept is actually much broader. Along with the cartographical, we find other complementary elements that enrich the information and allow, in many cases, the improved decision making by their managers and the quality of information to citizens and the scientific community, where appropriate. Some of the elements that may be included are: infographics, statistics, based on previous behaviour of some variables, aerial photographs and databases with geographic information related to it for enrichment trends. 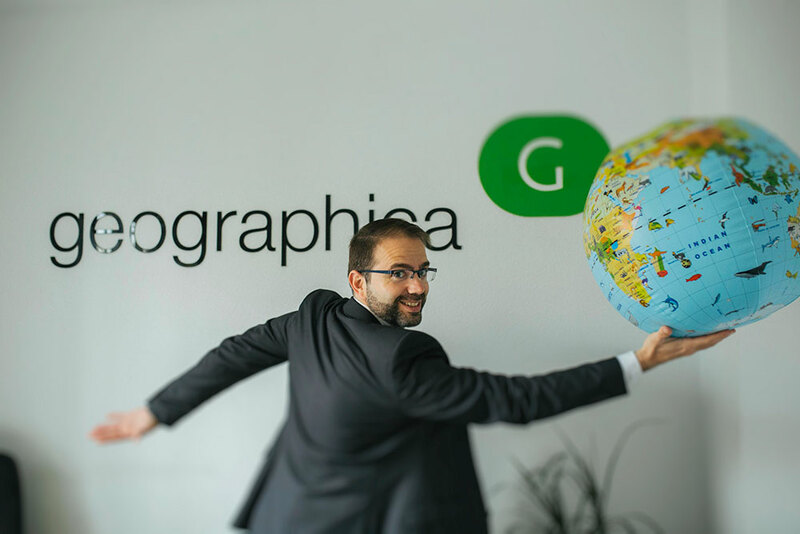 Indeed, in addition to information on the geographical, the geoportals facilitate other information that, while linked with that directly or indirectly complement it in the desired direction. Geoportals should enable the integration of diverse information and display it in an orderly fashion, always depending on the approach and specific needs. Not surprisingly, its themes and approaches can be very diverse, so casuistry not advice to incur excessive generalizations. Unafraid to generalize, it can be argued that the conception of a geoportal as a mirror and melting pot of information from different sources is a necessity in most projects, and the goal is not only to gather that information, no more. In contrast, the ultimate goal is to obtain that original and varied information to provide orderly, timely and intelligent data. Only through integration, analysis and visualization it is possible to generate simple constructive knowledge without sacrificing usability, communicating it clearly and intuitively. At the time, that amount of information fosters positive synergies that are necessary to achieve the objective or objectives. Although as a common denominator they are practical and have a spatial perspective geoportal vary depending on the subject and approach, among many other factors. With regard to its objectives, they can provide useful information to the public, the scientific community, public administrators or, for example, also come to collation think tanks. Above all, engulfing in a democratic culture based on the principles of participation, transparency and information to support technical decisions and policies under criteria of efficiency and sustainability. The characteristics noted on geoportals are clearly observed in the geoportal for Governance in the Alboran Sea, a project created to promote the participation of key players involved in maintaining the environment in good condition. As often happens in these cases, there were many organizations and institutions that produce important information, so that one of the key problems to overcome was the dispersion and the large amount of data. Beyond offering cartographic resources, information materials and, in short, being a digital resource centre on the issue, it seeks to develop tools for environmental monitoring in collaboration with scientists. In this sense, it is intended to report on the state of the environment, respond to many questions about the growing impact of human activities on the environment and take advantage of citizens’ contributions to increase knowledge of the medium. Referring to the think tank, this geoportal can assimilate these think tanks as long as help to improve knowledge and better understand the reality. In this case, it also reveals useful to sensitize the public, as well as providing a good analysis when designing public policies. Citizen cooperation, as mentioned, is another generic characteristic of geoportals and this is no exception. On the contrary, the orientation itself is one of the main objectives of this participatory platform. Thanks to her, advantages, often easily interrelated very different fields are obtained. From an input data for scientific interest to community, building on the progress of it, being a tool of enrichment think tank role. Since encourage interaction not only requires gathering relevant information on natural resources and biodiversity of this ecosystem, but also offers it to the players according to their demands, the platform has to be versatile. Finally, the momentum created sum up positive synergies that help advance in different fields as well as awareness more effectively, which simultaneously an instrument of awareness and environmental education. In short, the initiative has launched a procedure common environmental management around the Alboran Sea, facilitating the exchange of experiences among all stakeholders and interest groups linked to this natural enclave of great importance to ecological, geopolitical level scientific. Thus, it seeks to identify, unify and relevance to the priorities that will improve the management of this privileged environment. 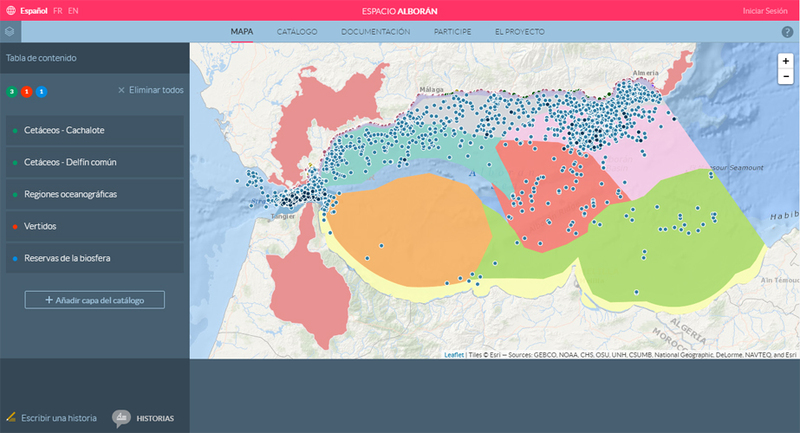 Not surprisingly, the development of this geoportal is part of POCTEFEX-Alboran Project, “Transboundary Space of Natural Shared Management”, participating both in the same philosophy. Just as it arises in the context of the new framework provided by the neighbourhood policy towards the Mediterranean basin promoted by the European Union, the objective of the Geoportal is to encourage participation to improve governance of their resources in a sustainable management and integrated their environment. 196€, that was. 196€ is what cost us our first rental office for Geographica. I fantasized outrageous but it smelled and it gave me some embarrassment that nobody came. Now we pay much more and with pleasure, because it means that we have grown, learned, failed, dreamed and realised a lot of projects. Projects which fortunately and with effort have led us to the 5 continents. I have imagination and I always thought that with time, we could have customers in Europe, LATAM and perhaps the United States. But I did not raise me that I may also come from Africa, Asia and Australia. It is a hyper-connected world and everyday it is getting more and more. A fabulously crazy world full of opportunities that is making us learn and grow from this corner of the planet. What have we learned from each of the 5 continents? Europe: Fragmented. Each country is a different story and usually protectionism predominates. The level of knowledge is very high and respect as well. Lack of some “blood” and ambition. United States: Immediate. No matter -almost- where you are, what matter is what you offer. We seem more than I thought. Practical and global mindset. Anecdote: we have a client who pays us by Paypal amounts that already are several thousand Euros. It takes an average of 30 minutes after receiving the invoice. Incredible. Africa: So close and yet so far. It is another pace, you need to get used to it. They are addressing problems skipping steps. There are people with plenty of eager and gradually they are growing. Many resources and infrastructure are lacking. Asia: We have just touched really, but it is colossal. 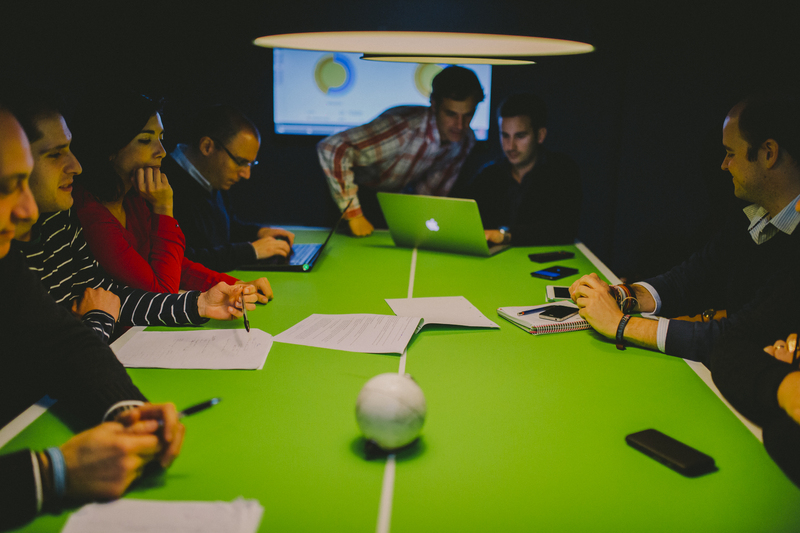 Ambition and technology are everywhere.We bring them knowledge and imagination. Latin America: Diversity, gigantic countries, extreme. Large projects and high-level resources (human and financial) coexist with gaps in basic needs. There are many opportunities. High level of understanding. Australia: Giddy. Constant movements, they create and close business as usual. They make us commissions overnight. Also very practical. Few but good. In short, life is an evolution. It is a search for something unknown and we often need to get tangible things that we can evaluate. In our case, we can measure that before we were paying 196 Euros for renting and worked on local projects; now we pay much more and work on the 5 continents. However, I advocate the intangible: we are happy and we will continue growing and feeling the excitement and the thrill of closing more and more successful projects. That is what we want, what moves us, what we dream. Go on!